How does lunch for 10 sound for you and your office? Okay we totally know the answer to that one already… freakin SWEET! Well that’s what WBNQ and McAlister’s Deli has got for you! Lunch for 10 for your office… oh and did we mention it’ll be delivered to you? Well we are now, your Munch Hour will be delivered by John Davies of The Susan Show With John Davies! For those of you who say “But nameless BNQ author, I don’t have a BNQ Benefits account! !” well this nameless BNQ author is here to let you know it’s EASY! Just check out our “How To” Post to learn how to make your free account. 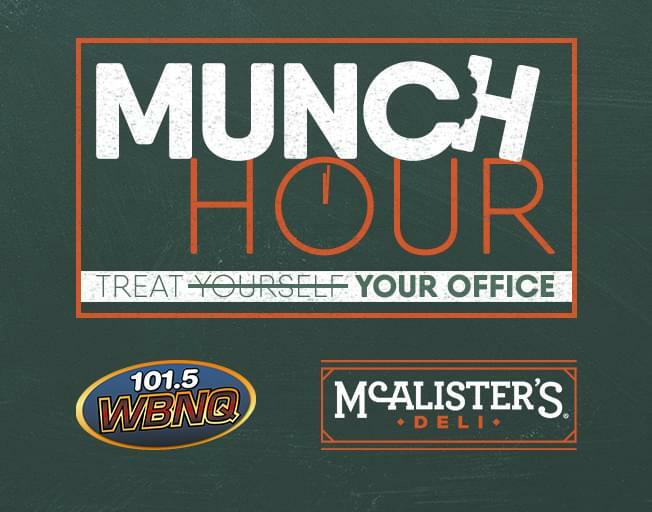 Now get to winning yourself a Munch Hour from McAlister’s Deli! A singer who died decades ago is at the center of a controversy about racism. Here’s what to know about her.